Denise Gough: "I made absolutely sure that I was on top wage"
Denise Gough on Paula: "I made absolutely sure that I was on top wage"
RTÉ Culture spoke to Olivier award-winning actress Denise Gough to discuss her role in the new RTÉ-BBC thriller Paula - and much more. Denise Gough is an Olivier award-winning actress who has taken the theatre world by storm with her portrayal of drug-addicted Emma in People, Places and Things as well as her undertaking of Harper Pitt in the marathon eight-hour play Angels in America. Now the actress, who hails from County Clare, is bringing her artistic talent to the small screen in the new RTÉ-BBC revenge thriller Paula. The three-part series will follow Denise as she plays a chemistry teacher whose life begins to spiral after a one-night-stand with James (played by Tom Hughes). I sat down with Denise to discuss the role of Paula as well as her career inspirations, irritations, thoughts and feminist capabilities. Your acting career has moved from stage to TV to film and back again - do you have a preference? Is there one you enjoy most? Oh, stage. I will always... like it wasn't a choice really to go and do TV. I'm happy to do those things, of course, and now that I’m getting great parts in great stuff it’s brilliant - but I would always take a great part on a stage rather than a mediocre part on screen. You know, it’s never been about getting famous for me. I follow where the good work is and most of the good work, for me, has been on stage, and is now getting to be on TV and film which is really exciting. Was there one play or playwright who inspired you to act? No, it was more like I just lived in total fantasy and made up stories. And then I did do a production of Annie on stage at school - I played Miss Hannigan and everything went wrong on stage and everybody forgot their lines and so I just started talking and making stuff up, and the audience laughed and I thought ‘this is really nice actually’. Yeah, I always wanted to be a theatre actress. I wasn’t looking at movies or people on red carpets and saying that I wanted that – to be a star. I wanted to be working on stage all the time, being in rehearsals and then, of course, you become that and you realise you’ll never earn any money and you have to do the other stuff [laughing]. 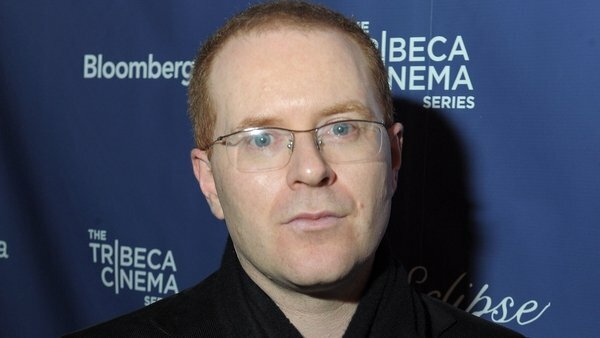 You worked with filmmaker Conor McPherson on stage in the past. What was it like to work with him on Paula? It was so great because we have such a history and when we worked together when I was on stage, you know... I was quite worried. I wasn’t earning very much and I was afraid; I was in that place where I was always afraid I wouldn’t work again and now we’ve worked together at a point where I’m not so worried about that sort of stuff anymore and so there was a real relaxed thing. Also, I have a shorthand with him as a result of working with him before and I just really like him as a human being, like he’s a really nice human and he’s a laugh and he doesn’t try to tell you what the thing is. He’s like ‘I don’t know, what do you think?’ so it was really collaborative from that point of view. And he works fast, I like that. I don’t like messing about with too much talking about stuff. So yeah, he’s great and I’m sure we’re going to work together again and again and again. I hope. How did Paula come about for you? I think the producers came to see People, Places and Things and then they told me that I was the person that they wanted to do it, but make no mistake about it, if I hadn’t had the success of People, Places and Things I wouldn’t be enough of a draw for them. So you know, that’s what doing that play has done for my life. It has meant that people will take a risk on giving me a big TV drama to lead, you know? In Peoples, Places and Things you played a character with addiction issues and in Paula you play a woman who is spiralling – what draws you to these characters? Well, because I don’t think it’s very helpful to play women as victims in their lives, and I don’t think that Paula’s life is spiralling. It spirals as a result of her decisions at some point, but that’s human. I think that playing Emma in People, Places and Things – the reason I wanted to play it was because it was the truth about addiction, from all the research I’ve ever done, it told the truth about it. It didn’t make her sad and pathetic. I don’t need to work with people who need me to shut up. I know how to be broke, I know how to be out of work, I can live like that again if I need to. And with Paula, with all the women I play, I want to have them sort of win or something. You know, so often we’re portrayed as ‘We fall in love with a man and then our life falls apart when he leaves us...’ or ‘Our lives aren’t going well, because our husband has had an affair’. It’s just a bit tedious at this stage. I would rather show the actual complexity of the stuff that we go through as humans, not just as women. Like I don’t want to mince about pretending to be in love with everybody in everything I do; I’m not saying I won’t do that at some point, but aren’t we more interesting than that? Isn’t it about time that those women are on [show]? I’m playing a woman at the moment in Angels in America who, to all intents and purposes, looks like a victim on stage but I have filled her full of rage because she is enraged at her scenario and she’s going to try and get out of it. So often, it’s the Ophelia effect. Shakespeare wrote this woman who [has] all the men in her life leave her and then she just wafts around and [starts] going mad. That is not my experience of grief or rage or indeed anything as a woman. We’re far more robust than that. I recently actually saw Hamlet and Jessica Brown Findlay plays Ophelia and she is wonderful because she is so angry in it and I thought ‘Finally, finally a woman who doesn’t just waft off...'. A man is the centre of our universe? Yeah! Why is that? In Paula, what’s great is this, that these three men are putting demands on her and the reason they’re putting demands on her is because she doesn’t need them. One in particular just turns out to be a pain in the hole and she has to sort that out because he’s messing with her life, not the other way around. You spoke about ensuring a fair wage as the lead character in Paula and wanting to close the gender wage gap. Do you see momentum building for female actors in terms of wage and script or is it as much of an uphill battle as ever? I think the fact that we can have conversations about it means there’s progress. I don’t want to be in a situation where we’re talking about the problem all the time. We have to believe that the conversation, being so open, means that there is a shift. My friends who run ‘Equal Representation for Actresses’, they photo bombed or ‘badge bombed’ the BAFTAs. So they had Olivia Coleman, James Nesbitt, all these people wearing the ERA badges and it was in all the papers the next day. Polly was on the BBC News, it was like, this is movement and this is progress. Eventually, if people at the top... like lovely Jennifer Lawrence, she says she blames herself for the pay gap because she never checked [her co-worker's wage]. It’s about women saying ‘OK well hold on’. And when I got Paula, I made absolutely sure that I was on top wage, you know, because I’m the leading character. I don’t care who else is in it. (Theatre) takes a different kind of stamina than waiting in a trailer for ten hours. It’s an athletic sport, so don’t get involved unless you’re prepared to build it up, you know? You are Paula, it makes sense. Exactly - but I feel that we have to keep highlighting [these issues] and now I’m a position where I can highlight them, and if that means some people don’t want to work with me then I don’t need to work with them. I don’t need to work with people who need me to shut up. I know how to be broke, I know how to be out of work, I can live like that again if I need to - but I’m not going to get to this position and then forget that there are loads of other women that could benefit from me saying something. What’s the point? Otherwise, we would talk about what today? ‘What are you wearing?’ ‘What do you like to do when you go out?’ ‘Have you got a boyfriend?’ Let’s just talk about the things that matter. So I’m doing Angels in America and then I’m going to New York to do Peoples, Places and Things again which I’m really excited about, and then we’ll see. I don’t know, there’s lots of nice little things being floated around and it’s such a privileged position to be in. At the moment, Angels in America is taking up everything, it’s like eight hours long so I can’t really think of doing much else. Tell me about Angels in America. You are working with Andrew Garfield in this marathon eight-hour play at London's National Theatre. How did it come about? How did you prepare for it? It’s just in my bones to do that now. Like, I have to take care of myself and I’ve had to streamline certain areas of my life, but that’s what I’m built for. I always think that when people who come and do theatre and they haven’t done it before and they take on these huge roles and then they’re off within two weeks and you think ‘Yeah, because it takes stamina’. And it takes a different kind of stamina than waiting in a trailer for ten hours. It’s an athletic sport, so don’t get involved unless you’re prepared to build it up, you know? I get so sick of that ‘I want to play this huge part’ and you think, 'Well then train to play that huge part by doing smaller parts'. Yeah, so I’m totally ready; I’m just knackered all the time. And that’s fine, I get to play this part in this play and that’s amazing.